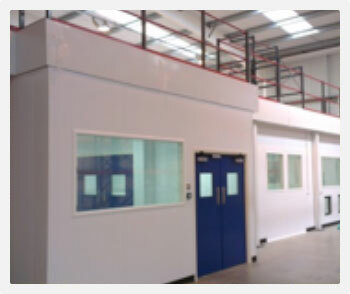 Stodec Products manufacture and supply a wide range of partitioning for use in industrial environments, calling on over 30 years of experience in the industry to provide the highest quality products and services. From heavy duty single skin partitioning designed for harsh working environments, to double skin partitioning that can provide a stylistic touch to canteens, laboratories and museum display areas, our selection is versatile to suit all needs. Our expert team are available to offer free advice regarding which industrial partitioning solution meets your requirements, as well as to carry out site surveys to aid in the design and installation of your partitioning.